The malware has different names but they all start with "cc" and has extension of one of the following. It hides contents of removable drives and creates a shortcut and sets its name as target of the shortcut. It creates a hidden nameless folder and then moves all the removable drive contents in to the nameless folder. It always stays on memory and detects when a removable media is inserted. 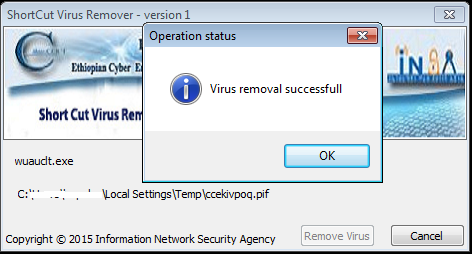 It copies itself on to temp directory and creates registry value to enable automatic startup of the malware when computer starts. 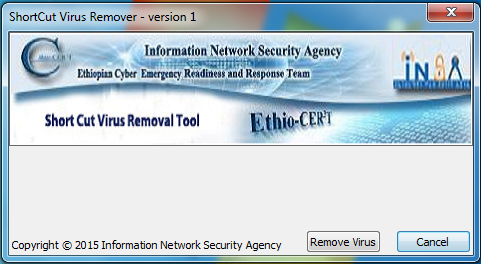 It also communicates with other malicious servers and sites around the world to download and spread more malware. Find one of the following two processes (if they are running) under explorer.exe process and then kill (terminate) the process. 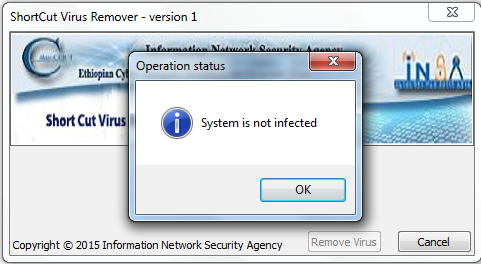 It first checks whether the processes (\windows\system32\wuauclt.exe or \windows\syswow64\svchost.exe) are running and infected. It does this by retrieving the load address of the process on the memory and check the PUSHfollowed by RET signature, If found it will kill the infected process.